While songs about drugs and excess are nothing new, the issue is getting more attention because so many children now have regular access to music out of the earshot of parents. 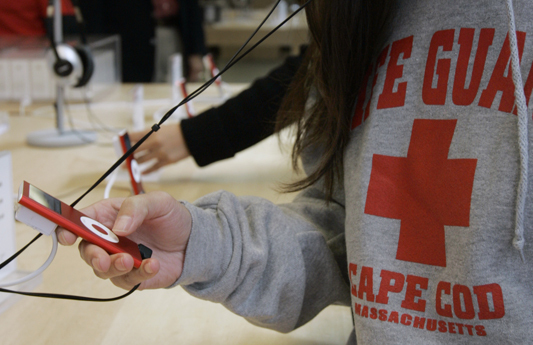 Nearly 9 out of 10 adolescents and teens have an MP3 player or a compact disc player in their bedrooms. Studies have long shown that media messages have a pronounced impact on childhood risk behaviors. Exposure to images of smoking in movies influences a child’s risk for picking up the habit. Alcohol use in movies and promotions is also linked to actual alcohol use. Researchers from the University of Pittsburgh School of Medicine studied the 279 most popular songs from 2005, based on reports from Billboard magazine, which tracks popular music. Whether a song contained a reference to drugs or alcohol varied by genre. Only 9 percent of pop songs had lyrics relating to drugs or alcohol. The number jumped to 14 percent for rock songs, 20 percent for R&B and hip-hop songs, 36 percent for country songs and 77 percent for rap songs. Notably, smoking references aren’t that common in music today, with only 3 percent of the songs portraying tobacco use. About 14 percent of songs spoke of marijuana use, 24 percent depicted alcohol use, and another 12 percent included reference to other substances. About 4 percent of the songs contained “anti” drug and alcohol messages. The study authors noted that music represents a pervasive source of exposure to positive images of substance use. The average adolescent is exposed to approximately 84 references to explicit substance use per day and 591 references per week, or 30,732 references per year. The average adolescent listening only to pop would be exposed to 5 references per day, whereas the average adolescent who listens just to rap would be exposed to 251 references per day. Whether any of this matters remains an open question. While the impact of exposure to images of smoking and alcohol in film has been well documented, less is known about the effect of music on childhood risk behaviors. Although music lacks the visual element of film, adolescent exposure to music is much more frequent, accounting for an average of 16 hours each week for music compared with about 6 hours each week for movie images, according to the study authors. But frequency of exposure is not the only factor. Unlike visual media, music is a powerful social force that also taps into an individual’s personal identity, memories and mood. “Music is well-known to connect deeply with adolescents and to influence identity development, perhaps more than any other entertainment medium,” said the study authors. I do not consider music as a threat to kids and/or teenagers. References to drugs and alcohol are made everywhere, bulletin boards, tvs, people around them. Music is a way for teens and kids to get away from the *day to day* routine and just have time on their own. Although kids and teens might pick up on the reference to substance use but the biggest responsibility here is not on the artist or the record company but on the parents. The artists are too often taking blame for a lack of discipline or education on the parents part. Kids and teens are smart and should be treated and educated accordingly. Discussions and sensibilities starts at home, not in schools but at home and it is a parent’s responsibility to abide. Fictional princesses are perennial preschool favorites. Since Disney launched its Princess brand in 2000, the Disney Princesses have become ubiquitous, represented in virtually every product category — dolls and dresses, of course, but also even seed packets and grapes. Partly as a result, little girls strongly identify with princess culture, and adults often assume girls naturally love princesses. When girls dare to be different, it’s unexpected and delightful — like the little girl who recently sparked widespread adoration and praise by dressing as a hot dog instead of a princess for her dance studio’s Princess Day. But as I have previously argued, princess culture is not all fun and games. The Disney Princess brand suggests that a girl’s most valuable asset is her beauty, which encourages an unhealthy preoccupation with physical appearance. The brand also implies that girls should be sweet and submissive, and should expect a man to come to their rescue in an act of love at first sight. Although newer characters like Elsa, Anna, Merida and Rapunzel behave in ways that correct these ideas, as a whole, the brand remains out of step with modern ideas about raising girls. Now a new article in the scholarly journal Child Development has detailed the negative effects of princess culture on girls. Lead author Sarah Coyne, an associate professor of family life at Brigham Young University, was inspired to conduct this study after reading journalist Peggy Orenstein’s 2011 bestseller “Cinderella Ate My Daughter.” Her own daughter was 3 at the time. As a parent, Coyne shared Orenstein’s concerns about what princess-driven marketing was doing, but as a social scientist, she realized there was little social science data on princess culture’s influence. The more the girls in the study engaged with princess culture, the more they behaved in stereotypically feminine ways. Girls with a lower body image when the study began tended to be more interested in princess culture a year later. There was no evidence that the girls’ engagement with princess culture influenced girls’ behavior for the better. Princesses’ potential as positive, prosocial role models is limited. While these findings are unsurprising to princess culture’s critics, it is useful to have new data that validate these concerns from a different methodological approach. “The big contribution this study makes is that we actually have data now,” Coyne says. “We’ve been talking about princesses for a long time, and there’s been all kinds of speculation.” While other studies (such as my own) have examined princess culture’s failings from a qualitative, ethnographic, interview-based perspective, Coyne’s study is unusual for collecting longitudinal, measurable, controlled data on 198 children. The study did offer some tentative, good news to parents. First, engaging with princess culture seemed to have positive effects on boys, counterbalancing some of the stereotypically aggressive messages found in media targeting male children. And it found that viewing princess films did not seem to harm girls’ body image during the one-year time frame researchers tracked. They found that most girls had “very positive” body images at the study’s beginning and conclusion alike. This may come as a relief to parents worried about the idealized, homogeneous and largely unattainable body type of Disney’s princesses. Another confusing finding: The authors found that girls were more stereotypically feminine in their behavior (considered a negative outcome of princess culture) if their parents reported talking about media with them. This is perplexing, as the research on parental mediation demonstrates that children benefit when they and their parents discuss media together. But the researchers didn’t ask parents what they discussed about the media with their children. Coyne suspects that the parents who participated in the study may have reinforced problematic messages — perhaps praising television characters’ physical appearances, for example. Overall, the “Pretty as a Princess” study makes good use of social science methods. It validates long-standing concerns about princess culture while suggesting some positive effects for boys. It also brings much-needed attention to the importance of talking critically with kids about the media they enjoy. If we’re careless in our approach, we might unwittingly reinforce the media’s harmful messages. But if we’re careful, we can help our children become resilient — and that’s useful knowledge. And that passion has fueled so much of our family’s learning. It goes beyond the obvious, too. Sure, she’s picked up a ton of history through films like Lincoln and Defiance, and about the space mission through From the Earth to the Moon. But it’s so much more than that. What about what she’s learned from The Matrix? The Wolverine? Mission: Impossible? Sherlock? She’s picked up just as much from those, and that’s why it’s been so important to me to get on my soapbox and talk about all the ways that learning from movies and TV happens in our home in this ultimate guide. Wild, Wild West: OK, hear me out on this. This one is cool because it gave us a chance to talk about what isn’t real and true historically, which naturally led us to talk more about the truth of western exploration. 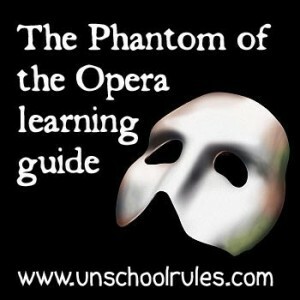 The Phantom of the Opera: Even cooler, earlier this year we went to see this show on Broadway. AMAZING. Lots to talk about here, from social issues (Do mistreatment and abuse “make you bad?”) to French culture to opera to ballet to how Broadway shows work to why certain TV or movie adaptations of literary works diverge from the original text while others don’t. trying to prove that it is not a real thing.However,it turns out to be wrong.His research shows that 8.5% of children in the United States are addicted to video games,due to two factors which has led to video game addiction.The first factor of it is gaining access to games,which is something hard to tackle as almost everyone has laptops,smartphones and even video game systems in their home,making accessibility to games everywhere.The second factor is handling human needs,such as the likeness of being controlled,connecting to other people and the feeling of being good at what we do.Children might not even realize that addiction of video games might actually affect their lives. In my opinion,I feel that video game addiction might be a huge problem and we have to figure out how to solve the issue.Video games has taken over children's lives and it might affect their academic studies.If we do not solve this issue,it will become a major problem in our society.In fact,studies show that kids who play video game spent 30% less time reading and 34% less time doing homework.Hence,video game could affect children's academic results and their future. Internet shaming gone to far? Justine Sacco, senior director of corporate communications at IAC thought it would have been funny to make a racist comment on Africa. Justine was going to Cape Town, a city in south Africa. Before the took off, she decide to tweet out a racist commend about getting AIDS because she was going to Africa and decide to make a joke that she will not get it as she is white. Over the course of the 11 hour flight, hate comment flooded her twitter and she even became a twitter trend with a hashtag about her. When Justine landed at the Cape Town airport, she was surprised on the amount of notifications on her phone popping out from her friends trying to reach her to help her to news she was unaware of. When she realised that her twitter was filled with hate comments, she tried apologising and even deleted her account. People even waited for her at the airport to take photo of her telling everyone that she had landed. She was fired from her job and gained hate from many because of one racist comment. I agree with the haters on the fact that the comment was very racist and that Justine should have think about what she had posted such a comment on twitter. Even though she may only have 130 followers, anything on the internet can go viral in a matter of seconds and that even though she was making a joke, others can be offended easily by a small joke. Pretty pink culture still abounds in media and merchandises although Disney princesses evolved over time are less pink with princes losing manly muscles.Earlier princesses have been stereotypical gendered behaviors such as the need for girls to look pretty and focus on their appearance over their inner substance.Males are usually portrayed as physically strong,assertive and athletic while females are prone to overt emotion such as affectionate behaviour and crying.Gender roles portrayed in media can influence a girls expectations and ideas of what is normal behaviour and therefore recently, female characters included more traditionally masculine traits instead of the usual stereotypical gendered behaviour. In my opinion, the characters of Disney movies should not have stereotypical gendered behaviors. This is because characters that have stereotypical gendered behaviors can influence other people in a negative way such as the need for girls to look pretty and focus on their appearance instead of their capabilities.This can cause the girls to think that it is ok to be just like that in the movies and her ideas of what normal behaviour to be influenced .One example would be the way to dress . The girl influenced by the movie characters may dress inappropriately thinking that it is normal and therefore may lead to dire consequences such as being punished by public or in some cases brought into custody of the police.All in all,the characters of Disney movies should not have stereotypical gendered behaviors.